Now on Home Video: "21 Jump Street," "The Artist" & "Mirror Mirror"
A brilliant '80s TV adaptation, a black & white silent film, yet another Snow White, Greek gods and more! Jonah Hill and Channing Tatum star in this clever, funny and touching (no, really!) big-screen adaptation of the TV show that made Johnny Depp famous, about a team of youthful looking undercover cops sent to a high school to bust a drug ring. A silent film star gives an unknown her start, and before he knows it, she's starring in talkies and he's broke. Jean Dujardin won Best Actor at Cannes, and co-star Berenice Bejo is freakishly beautiful. Sam Worthington returns as Perseus, who a decade after slaying the Kraken, is trying to live a peaceful life--until his father, Zeus, calls upon him to battle the Titans. Julia Roberts and Lily Collins star in director Tarsem Singh's adaptation of the classic fairy tale "Snow White." Co-stars Armie Hammer and Nathan Lane. 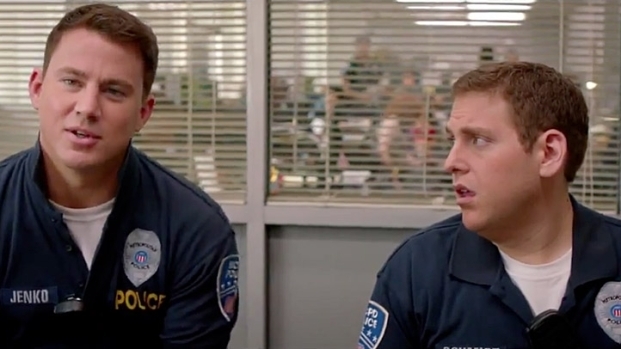 Here's a "21 Jump Street" Trailer the Whole Family Can Watch! Channing Tatum and a newly slim Jonah Hill star in this film adaptation of the classic '80s cop show that helped make Johnny Depp famous. A Belgian crime drama about a steroid-jacked cattle farmer, Jacky Vanmarsenille (Mattias Schoenaerts), who enters into a shady deal with the mob. When a federal investigator turns up dead, his past rears its ugly head. Eddie Murphy stars as a man who gets a curse put on him that dooms him to death once he speaks 1,000 words. This Turkish film about the hunt for the body of a murder victim won the Grand Prix award at Cannes in 2011. Emily Watson stars in this film based on the true story of a British social worker who uncovers a secret government program that deported to Australia children that had been in the care of the state. Based on the bestselling novel "The Elegance of the Hedgehog," it tells the story of an 11-year-old girl from a wealthy family who befriends the surly concierge in her building. Kathleen Turner is a devout Catholic desperate to maintain appearances when her son leaves his wife for another woman and her daughter announces she's marrying her girlfriend. Co-stars Jason Ritter and Emily Deschanel.